Do you want to teach children ages 6-12 (grades 1-8)? Then the Elementary Education Program is for you. Real world, urban classroom-based field experiences in a variety of grades with students from diverse backgrounds. Cutting-edge teacher preparation curriculum taught by highly-qualified faculty. Flexible and accessible scheduling that includes day and evening courses, summer and winterim options; with full and part-time scheduling. Strong preparation in two content areas: English language arts or social studies; and science or mathematics. Completion of Cultures and Communities Certificate is included in completion of the general education requirements. Undergraduate students may complete program of study in 8 full-time semesters plus one summer session. Traditional undergraduate students or transfer students. Career changers who have already completed a bachelor’s degree. Students interested in earning a master’s degree and teacher certification in grades 1-8. Teachers wishing to add certification in 7th and 8th to an existing teaching license in 1st-6th grade. Mandatory meeting with academic advisor in the semester following 40 credit semester. Earn a C or better in all courses. Successful completion of dispositions and field evaluation from CURRINS 333. Successful completion of MATH 175 and ENGLISH 102 (or placement of 4 or higher on English placement test). Currently enrolled Elementary Education students ready to begin Professional Semester 1 should complete the admission review form found below. This form should only be completed one semester prior to the semester in which you intend to begin the professional program. Once the Submit button is clicked, the form will be submitted and the page will reload. A minimum GPA of 2.5 on all coursework completed for undergraduate credit. Course Requirements: Completion of CURRINS 233 and EDPSY 330 with a C or better. For students with a completed bachelor’s degree (post bacc students), complete the application. The Elementary Education Program currently accepts applications from post-baccalaureate students throughout the year. Applications must be received by December 15 for the Post-Baccalaureate program. This is a focus area in the Curriculum and Instruction MS degree program. See C&I Master’s degree program. The faculty teaching within the Elementary Education program in the School of Education at the University of Wisconsin – Milwaukee engage in research that explores questions of educational practice and policy and their contexts while aligning with the social justice mission of the SOE. SOE Elementary Education faculty collaborate with UWM’s Office of Research to support the development of research agendas addressing issues in education. 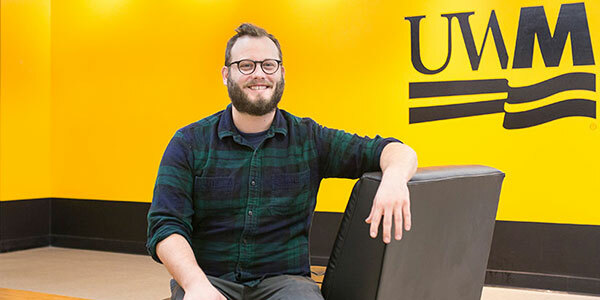 Further collaborations with UWM’s Office of Undergraduate Research support not only the next generation of educators but also the next generation of education researchers. The Career Planning and Resource Center is available to UWM students and alumni, offering assistance with job exploration, preparation, and managing the complex process of applying for jobs.